I will be leading a four week webinar starting Weds, April 6th titled “Opening to Our Earth’s Sacredness”. Below is more information. Come join us! Online Course – Starting April 6th. Four 90 minute sessions on Wednesday nights. 8pm – 9:30pm EST (5pm PST) through Weds, April 27th. TO REGISTER: Send US$115 to: Paypal.me/matierra. After your payment is received, more information will be sent on how to participate in the course. All classes will be recorded and available after the live session to retrieve. Our planet is sacred and conscious. She is Earth Mother and she is a powerful spiritual being unto herself. Indigenous peoples all over the world have honored Earth Mother for thousands of years. Their medicine people can communicate directly with her. – Who Earth Mother is as a powerful spiritual consciousness. – Her Quantum Divine Love for us. – What is Earth Mother’s Role as Planetary Caretaker. – An Intro to Earth Changes and the new Earth Mother transitioning in at this time. – How to create a more Sacred Relationship with Earth Mother by doing specific spiritual exercises and other practices. – Honoring the Nature Spirits as part of Earth Mother’s Sacred Community. Who are the Nature Spirits? What is their role? Ways to connect more with them. – Sacred Gardening approaches honoring Earth Mother and the Nature Spirits. – An Intro to Sasquatch/Bigfoot’s relationship with Earth Mother. – What happens when we are in more Sacred Relationship with Mother. How does she communicate with us? – How to take the relationship more deeply. The course will include a guided meditation to activate your spiritual connection with Earth to a more powerful level. Mare has been leading events internationally and learned that people’s awarenesses and capacity to tune into Earth Mother and nature spirits are woken up after experiencing one of her meditations. The amount of Love that Earth Mother has for us is so huge that it is beyond words. To be bonded with her is so healing for us and for her. We will tap into that Love during the course and learn how to send our love back in numerous ways. There will be practices, readings and assignments that will deepen your awareness of Earth Mother and your bond with her. Join us to develop ways to be spiritually connected with our Planet Caretaker, beyond the beautiful actions of organic farming or growing herbs. Come learn how you can serve Mother for the highest good from a spiritual/energetic standpoint, and be a Seed for the New World being born these days. Multi-award-winning author Mare Cromwell has been informed by several gifted Native medicine people that she is quite closely tuned in with Earth Mother. After downloading the spiritual messages in Messages from Mother…. Earth Mother in the summer of 2012, Mare received very clear spiritual guidance from Mother in the fall of 2013 to write The Great Mother Bible during the winter of 2014. Mare Cromwell is also a nature mystic, intuitive empathic healer, plant communicator and international speaker. She has learned how to communicate with and offer ceremony to the trees, waters and others in the natural realms. 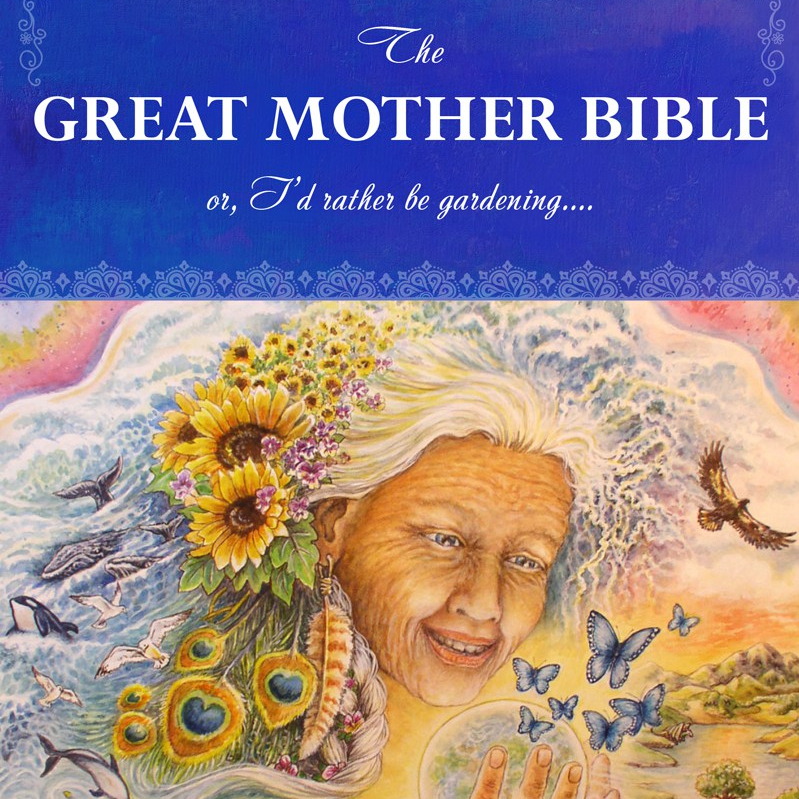 Mare’s books are: The Great Mother Bible; Messages from Mother…. Earth Mother; and If I gave you God’s phone number…. Searching for Spirituality in America. She has studied for nineteen years with Native American medicine people and is currently on hiatus from the World Council for Wisdom Gatherings. Mare calls Western Maryland home and is a former worm herder. • Each class session includes teachings and question and answer time. • Recordings of the classes will be available to listen to after each teaching. • Online Community – An exclusive Facebook online community will be created to continue your learning after each class. You can ask additional questions, interact with other students and get access to additional resources to take the course to an even deeper level.